Assembly comes complete with quality regulator and retractable spring bearing hardware. 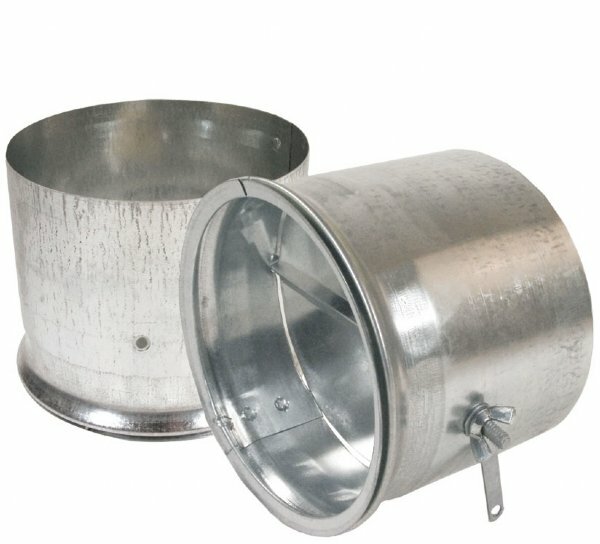 Available in diameters ranging from 4" to 12" with or without damper. Save approximately 43% on installation time over conventional fish-lock collars.